Pamper your skin and enliven your senses with this gentle, high-foaming gel that cleans and conditions. Enliven Bath and Shower Gel builds on the success of our original Vitae Spa Bath and Shower Gel with enhanced moisturizing and skin conditioning properties. Plus, it’s in a convenient 500mL size-perfect for the whole family. If you’re looking to make your home Sisel Safe®, then this is the bath and shower gel for you. 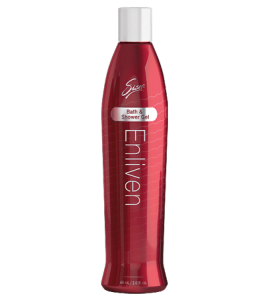 Enliven contains no harsh sodium lauryl sulfate, a well-known skin irritant that weakens cell membranes and is found in some shower gels.